If you are looking for heaven on earth, you have found it! We are proud to offer you the perfect place for your next getaway. Once you see the spectacular views and beautiful new furnishings, you'll never want to leave. We are located at Echota on the Ridge. This gated community is situated on 97 acres with our elevation being 4200 ft. The spectacular unobstructed view from the balcony overlooks Valle Crucis. Boone, Blowing Rock, Banner Elk, and the Blue Ridge Parkway are only minutes away. Hiking, skiing, snow tubing, and fishing are also close by. Our mountain retreat is on the main floor. NO STEPS!! Walk straight from your car to the front door. It is beautifully furnished with all the conveniences of home. The master bedroom has a brand new Saatva Luxury Firm Queen size mattress, flat screen TV, private bath/dressing area and a sitting area for you to enjoy your morning coffee as you look out over Valle Crucis. The 2nd bedroom has 2 twin beds, TV, VCR/DVD and a separate bathroom. Both guest areas can be closed off from the rest of the condo for privacy. The stone fireplace sets the tone in the great room. You can enjoy a book with the relaxing fire, or watch the 32' flat screen TV/DVD/VCR. Bring your laptop because WIFI internet is available in our unit. Our dining area seats 6. If you feel like cooking, our kitchen is fully equipped with everything to make that perfect meal! We also have a George Foreman outdoor electric grill on the balcony. Or if take-out is your thing--area restaurants are close by. Menus provided. Echota on the Ridge has so much to offer. You can choose either the indoor pool or the brand new outdoor pool with its spectacular view of Grandfather Mountain, a hot tub, and a soothing 30 ft. waterfall. The new clubhouse offers a full gym, caterer's kitchen, and a huge great room with a 42' flat screen TV & free WiFi internet service. Echota also offers catch & release trout fishing and a 24 acre nature preserve for hiking, strolling and picnicing along a beautiful mountain river. We are the original owners of this unit. We have had wonderful guests that consider our 2nd home theirs too. We would love for you to be a part of our VRBO family. This property is one of the best in EOR. We are on the middle floor of our building so, you walk right in. No steps to climb. Making it very easy to load/unload your car when you arrive. We love the Boone, Blowing Rock and Banner Elk area. There's lots to do and great places to eat. You will fall in love with our view. 60 mile range looking towards TN over Valle Crucis. It's a very quiet building with no one beside of us. I've had many renters describe it as "a little piece of heaven." It's nice to know it's there, but you won't need it! We enjoyed the beautiful views and tucked away location of this condo! We felt safe being in a gated community and thoroughly enjoyed the full experience. We hope to be back! This is a super nice condo - perfect for family of 4. The ski resorts are not far and the indoor pool and hot tub are awesome. Thanks for our stay! This is a great place to stay! Wonderful views, great decor, comfy place! Grab it if it’s free! We had a wondeful stay. The place is even nicer than the pictures. We would definitely come back and highly recommend it to anyone. That view is just awesome! Judy's condo is very lovely and the views are amazing!! The weather was rainy and we spent more time than planned inside the cozy the condo and it was very relaxing! Everything was in place just as Judy said it would be and we experienced no difficulties with travel or entrance instructions. 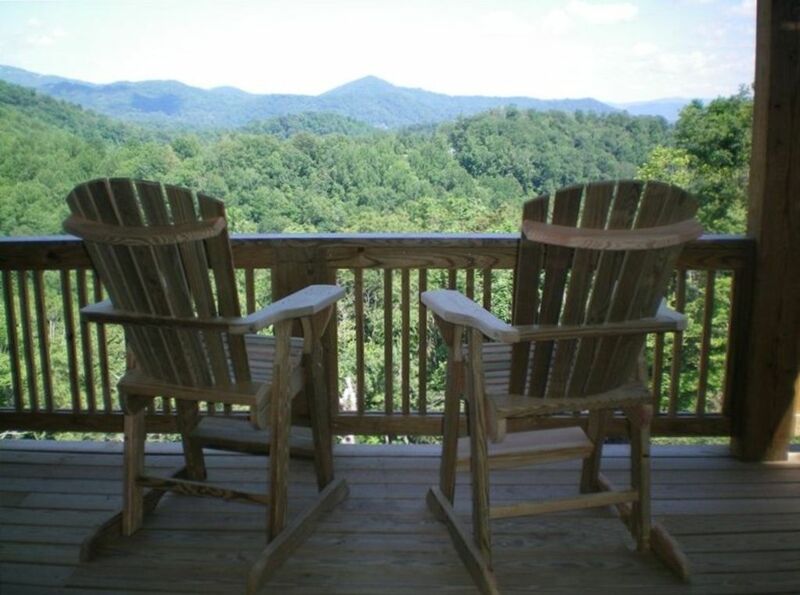 The condo is centrally located to Sugar Mountain skiing, tubing, supply stores, local restaurants, as well as a short drive to Boone or beautiful Blowing Rock. We recommend her condo and fully expect that we will be reserving it for ourselves again in the near future!